Polycom VVX Sidecar 28 - Color | 8x8, Inc. 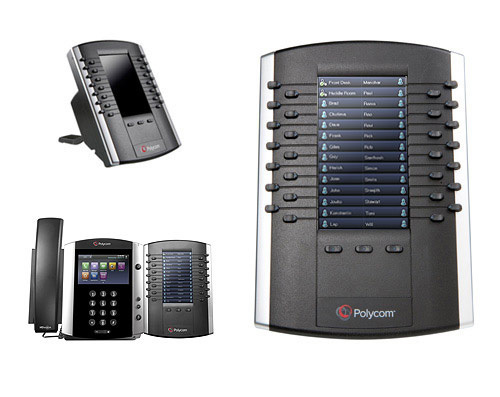 The Polycom VVX Sidecar 28–Color, is designed to work with the PWR28 service plan and either a Polycom VVX 300, VVX 310, VVX 400, VVX 410, VVX 500, or VVX 600 IP Phone. Provides three logical pages of 28 line keys per device. Up to three VVX Sidecar-Color devices can be cascaded together for a nine logical pages of 28 additional line keys. Any vacant line keys can be used as Speed Dial buttons. Each PWR28 license will support up to 10 line appearance keys and/or up to 28 additional BLF keys on an attached sidecar(s), with any vacant buttons available for use as Speed Dial buttons on the attached sidecars.